Every year as a child, I would always get so excited to go school shopping to get all the supplies on my list. I remember picking out colorful Lisa Frank folders for each subject, a backpack with the newest Disney Princess on it, and a plastic lunch box that always matched. I couldn't wait until school started so I could use my newest accessories. 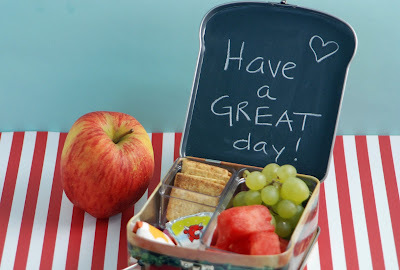 One of my most fondest memories growing up was when I was in elementary school and I would open up my new lunch box and inside would be a note on a napkin or a special treat from my mother. It always made me smile and reminded me that no matter how hard of a day I may be having, I always had someone at home who loved me. So, today I am sharing with parents some creative ways to make lunch extra special for your children, and show them that even though you may not be there with them at school, you're always thinking about them. 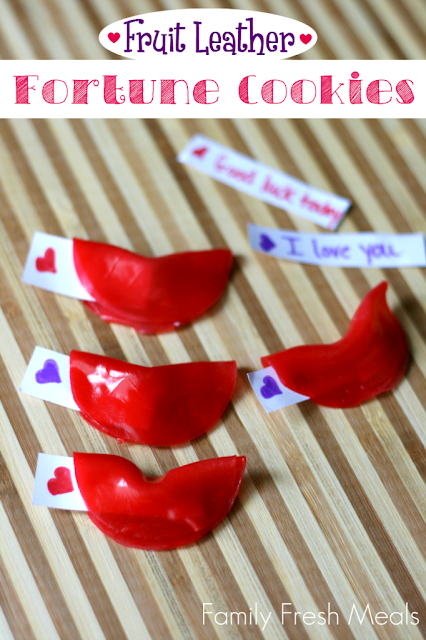 Now, whether you're more culinary focused (like me) or crafty minded (like my sister), these treats and projects will be a welcome surprise to your kids' lunchbox. 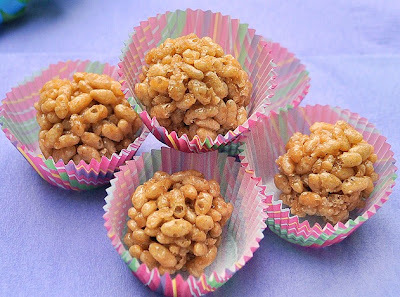 For All You Amateur Chefs: Whip up a few of these scrumptious sweets that will make your little one the envy of every child in the cafeteria...plus they don't even have to know that these treats are healthy for them! 1.) Wash grapes thoroughly. 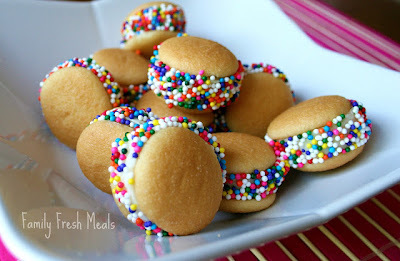 Make sure they are really wet so the gelatin powder sticks to them. 2.) Place the gelatin powder on a plate and roll grapes into the powder, completely covering. Using two spoons will help with this. 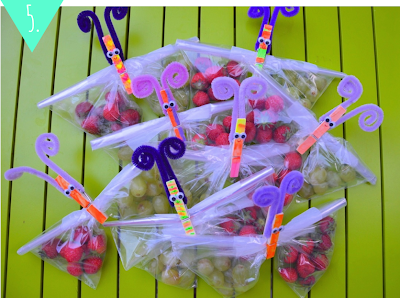 Or you can simply place the powder in a zip lock back, drop a handful of grapes in at a time and shake until covered. Refrigerate for several hours. 1.) Spread a small amount of nut butter on each wafer, place a slice of banana in the middle and then roll in sprinkles. 1.) Mix together your nut butter, sweetener, extract, and salt. 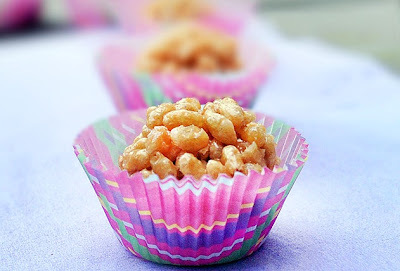 Melt ingredients together (either in the microwave or stove), then pour over the cereal and stir very well, making sure to coat all the crispies. 2.) Form tightly into balls. Freeze for at least a half hour before serving. These treats can be stored in the freezer, in the fridge, or loosely covered in a cool, dry place. For All You DIY Divas: Get out those paint brushes and markers, and create some of these fabulous lunchbox additions and accessories that will make your kids' lunches stand out in a crowd...while also providing some of that extra TLC that parents love to give. 1.) Lay fruit leather out on a cutting board. Cut 2 circles per fortune cookie. 2.) Cut strips of parchment paper. Write a special message to your child on parchment paper. Place paper on top of the lower half of the circle. 3.) 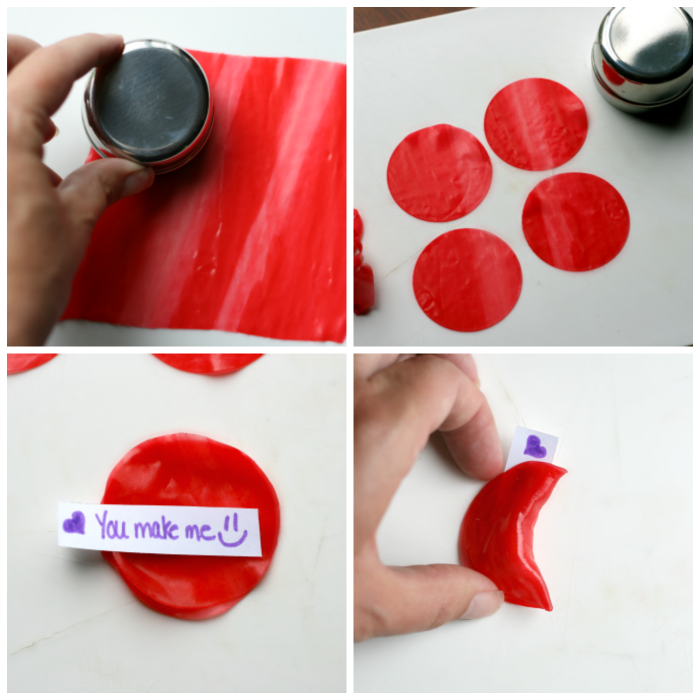 Fold top over and pinch together the edges to form a fortune cookie. 1.) Tape around the edges of the lid and cover the rest of the lunch box with a plastic bag. 2.) Use chalkboard spray paint to cover the inside of the lid. Once the first coat is dry, spray with a second coat and allow to dry overnight with the lid open. 3.) Write a message to your child each day with chalk. 1.) Cut a piece of vinyl to fit the inside of the lid. Before attaching, spray paint the vinyl with chalkboard paint. 2.) Allow the vinyl to dry overnight. Peel adhesive backing off and place on inside of lid. Use a flat edge to smooth out any bubbles. 1.) Decorate one side of a clothespin with either paint, puffy paint, or glitter glue. Glue two small googly eyes near the gripping end of the clothespin and let the glue dry. 2.) Put your snack into a snack-size ziplock bag until it's a little over half full. Seal the bag, cinch the middle with your fingers, and clip it with the clothespin. 3.) Fold down/curl the tips of a 6-inch length of pipe cleaner, then bend the entire piece in half. Clip the pipe cleaner in the clothespin. 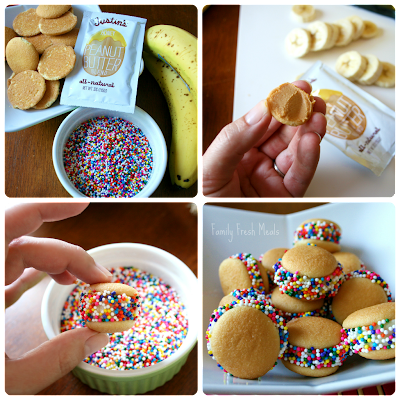 Such easy and fantastic ways to bring some excitement into the middle of your kids' day!! What a simple way to wish your child luck on their first day of school, boost confidence before a big test, or make an extra special meal for their birthday at school. 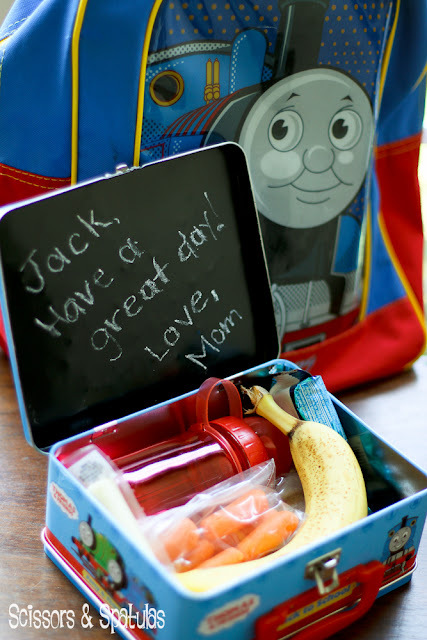 So, after you are done packing a treat in your own Tiffin Lunchbox, add some pizzazz to your child's lunch with healthy snacks and heartwarming crafts, that will surely get an, "I love you mom!" Have a Great Weekend! 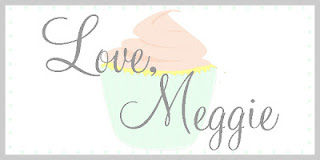 These darling ideas make me wish I still had little ones! 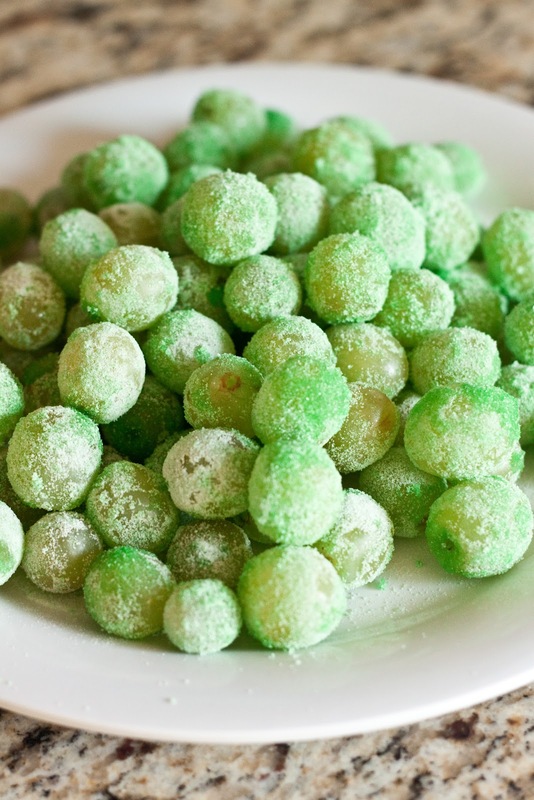 But those grapes covered in lime jello powder would work even for a bridal shower with a 'green' palette or theme!